The specified file temporary://fileb6zC6B could not be copied, because the destination directory is not properly configured. This may be caused by a problem with file or directory permissions. More information is available in the system log. The forthcoming September, the 7th EASN International Conference on Innovation in European Aeronautics Research will take place at the modern Conference Centre of the Institute of Aviation in Warsaw between the 26th and 29th. The Conference is co-organized by the EASN Association and the Warsaw University of Technology (Faculty of Power & Aeronautical Engineering – Institute of Aeronautics & Applied Mechanics – Department of Aircraft Design). So far, the Conference has attracted more than 200 presentations distributed in 45 sessions. The sessions cover the majority of the aeronautical research & technology areas, while a number of them are dedicated to specific EC funded research projects. Moreover, nine (9) distinguished personalities of the aeronautics community will give a key-note lecture in the frame of the Conference. Prof. Dr. Mirko Hornung, Director Science & Technology, Bauhaus Luftfahrt e.V. Following to the request of several authors the deadline for abstract submission for the 7th EASN International Conference is shifted to the 30th of April. On 21 March 2017, Christophe Hermans (as president of the Council of European Aerospace Societies - CEAS) and Spiros Pantelakis (as chairman of the European Aeronautics Science Network Association - EASN) signed an agreement during a first joined meeting in Brussels to intensify CEAS and EASN Cooperation in the field of aeronautical Science and Technology. For the second newsletter of 2017, the EASN Association is pleased to host an interview between Mr. Christophe Hermans and Prof. Spiros Pantelakis about the Cooperation Agreement between CEAS and EASN. Read the full interview on the EASN website. The readers of the EASN Newsletter are used to see in this section an interview with a distinguished personality of the aeronautical society, talking about emerging issues and the future of the European aeronautics sector. Yet, in order to maintain and further strengthen the competitiveness of the sector in the global market, it is of imperative importance to ensure excellent quality Aeronautics Education and Research in Europe. 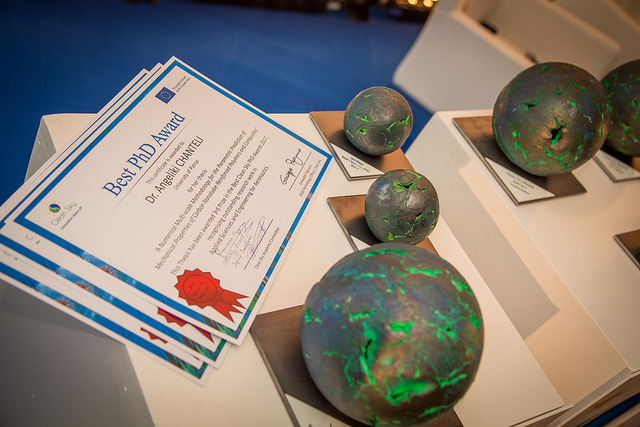 EASN appreciates the initiative of Clean Sky Joint Undertaking to acknowledge the significance of retaining high quality academia aeronautics research in Europe by implementing the Best Clean Sky PhD Awards. 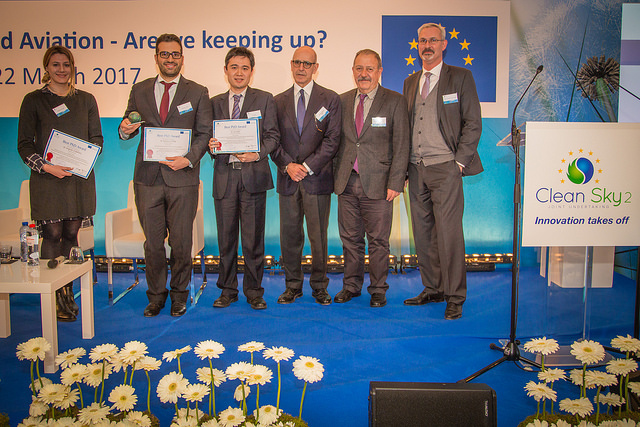 In this context, the present section of the newsletter passes the floor to the winners of the competition, who received their awards during the second day of the Clean Sky 1 Closing Event. First prize was awarded to Dr. Fei Gao (University of Nottingham) for his thesis ‘Decentralised Control and Stability Analysis of a Multi-Generator Based Electrical Power System for More Electric Aircraft’. Second and third places went respectively to Dr. Vincenzo Citro (University of Salerno) and Dr. Angeliki Chanteli (University of Patras). Let us hear what they want to say and read their interviews on the EASN website. The Consortiums of the ICARUS and SUPERMAT H2020 Projects are thrilled to announce the organization of the International Spring School on Forefront Alloys and Advanced Materials for Extreme Conditions from 15th to 17th May 2017, at Chia Laguna Resort, in Sardinia, Italy. This fruitful event will provide a great opportunity for students and young researchers to be specifically trained on the cutting edge science and technology intrinsic to the ICARUS and SUPERMAT projects. The agenda includes lectures by leading researchers, poster sessions where the two best posters will be awarded and a free scientific debate between lecturers and students. The specific objectives of this important experience is to teach and discuss the last methodologies and scientific advances for the exploration of new nano-crystalline stable alloys, new coatings, and high entropy alloys, to learn about forefront materials operating under extreme conditions in Aerospace and Energy Production and to understand the current technological industrial needs and about how materials science is going to answer to present challenges. The ICARUS and SUPERMAT Consortiums will be pleased to welcome young researchers and students to attend International Spring School. Significant information and details are provided in the official Spring School mini-site. Registrations are already open and available here. At six months from the official Kick-off, SARAH is running ahead to establish novel holistic, simulation-based approaches to the analysis of aircraft ditching for improving the safety of the air transport system. The prime concern of this very dedicated consortium for the first months was the successful launch of the project and of the respective technical activities as well as the realization of the initial interactions among the partners. During this period the conditions that will be used for the aircraft ditching tests to be performed at CNR-INSEAN have been defined. In particular, four different test typologies have been decided to be considered, namely double curvature rigid specimen, single curvature aircraft‐like structure, thin flat plates and scaled fuselage with dynamic pitch. Some aspects concerning the shapes, dimensions and main structural characteristics of the specimen have been decided. All the main aspects of the test conditions have been discussed and agreed with the involved partners within the technical limits allowed by the testing facilities. For each test typology, the instrumentation adopted and the quantities that will be measured have been also defined. The consortium is currently organizing the M6 progress meeting which will take place at Airbus Defence and Space facilities in Getafe, Spain on Tuesday 25th and Wednesday 26th of April 2017. The objective of this meeting is to review the progress performed since October 2016 and the activities planned up to the end of the first year of the project. More information about the project's progress and latest results is available on the project's progress timeline. Main aim of ICARUS project is to develop a new thermodynamic approach to materials design, completed the first half year of its 36-month period. For that reason, the ICARUS consortium successfully conducted a six-month progress meeting on the 29th and 30th March 2017 in Miskolc, Hungary. The Consortium focused on the activities realized during the first phase of the project’s lifetime and elaborated on the planned actions for the following semester. 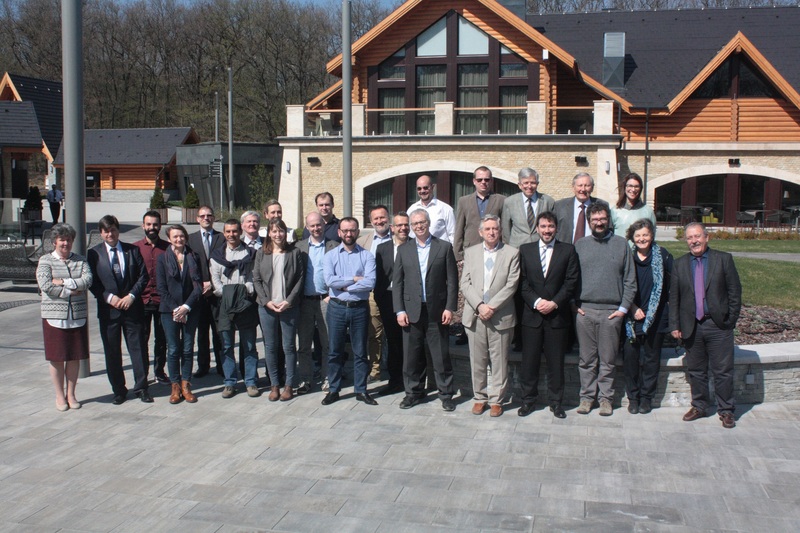 During the meeting, the partners developed a discussion on the upcoming International Spring School on Forefront Alloys and Advanced Materials for Extreme Conditions, organized by ICARUS and SUPERMAT H2020 projects. The International Spring School will take place between May 15th and May 17th, 2017 at Chia Laguna Resort, in Sardinia, Italy. Through this unique experience students and young researchers will have a great opportunity to expand their knowledge into the cutting edge science and technology intrinsic to the ICARUS and SUPERMAT projects. For more information and details visit the ICARUS Project website and the International Spring School minisite. Having completed its first year, the FUCAM project has successfully organized its 2nd Intercontinental Workshop, hosted by JAMCO in Tokyo, Japan from 23rd to 25th March 2015. The objective of this meeting was to review the progress performed since November 2016 and the activities planned up to the end of the first half of the project. The workshop was focused on demonstrating the detailed planning developed for the market’s trends, cultural and demographic developments in Asia (Japan, China, and Southeast Asia)​ based on quantitative and qualitative work. More specifically a quantitative (Cranfield University) and a qualitative (Aalto University) analysis have been analyzed and implementation scenarios (Mormedi, Airbus Defence and Space) specified.All participants had the chance to attend and share their views regarding the attempt to explore and define requirements from an end user for business perspective by establishing scenarios by changing the determinants to affect the users’ requirements. For more information on the FUCAM project, please visit the FUCAM project website. The EFFICOMP project has completed its first year of activity and so far all planned activities have been completed in due time. The EFFICOMP team has successfully held its 12M meeting at RIMCOF offices in Tokyo, Japan on April 11th and 12th, 2017. During the meeting, the main results and achievements of the project’s 1st year of activity were presented, as well as an open discussion on possible actions for the 2nd year took place. For more information please visit the EFFICOMP project. For the last year of the project, the CAPPADOCIA partners have decided to focus their research on a more restrictive area and for doing so, chose to only select two main topics of investigation among the five previously selected and investigated throughout the 3rd year. Based on its global observation after the first three years of the project as well as on feedbacks received from ACARE, the consortium then decided to focus its research on the following: “Collaborative Supply Chain” and “The factory of the future”. And specifically, within those two topics, the consortium agrees on to further deepen the following key issues: Upstream tools for design, calculation and proof of concept for TRL less than 6, Co-conception for TRL more than 6, Reduction of the losses in RFQ (Request for Quotation) and Ramp-up. At the end of its last 4th year, the CAPPADOCIA Consortium will present all its final achievements and strategic recommendations at the 7th EASN International Conference in Warsaw (Poland) from the 26th to the 29th of September 2017 (Find out more information about the 7th EASN International Conference in the following link: https://easnconference.eu). This conference will be the final point of the CAPPADOCIA project and will also be a last opportunity for all the Consortium partners to widely disseminate at the European level CAPPADOCIA overall achieved results. Technology is not a limiting factor, contrarily to Infrastructure and Organisation aspects. Infrastructure needs are especially related to capacity increase and intermodality issues. All segments of the door-to-door model are not fully addressed: no comprehensive approach exist for the part of the travel to origin airport and from destination airport. Typically successful project are generally performed by a mixed consortium (academics, larger companies, and SMEs, where companies are not all aviation-related), have a higher budget (above 600 k€), and include simulation and use cases involving end-users. Even for projects with explicit time efficiency goals, no quantifiable performance exists. Global models should be developed to measure the effects of a paradigm change; moreover, there is a strong need about intermodality (no simulation framework exists allowing comparing strategic orientations) and passenger flows (no integrated models allowing prediction). The interface between R&I and such exogenous factors should be somehow addressed. 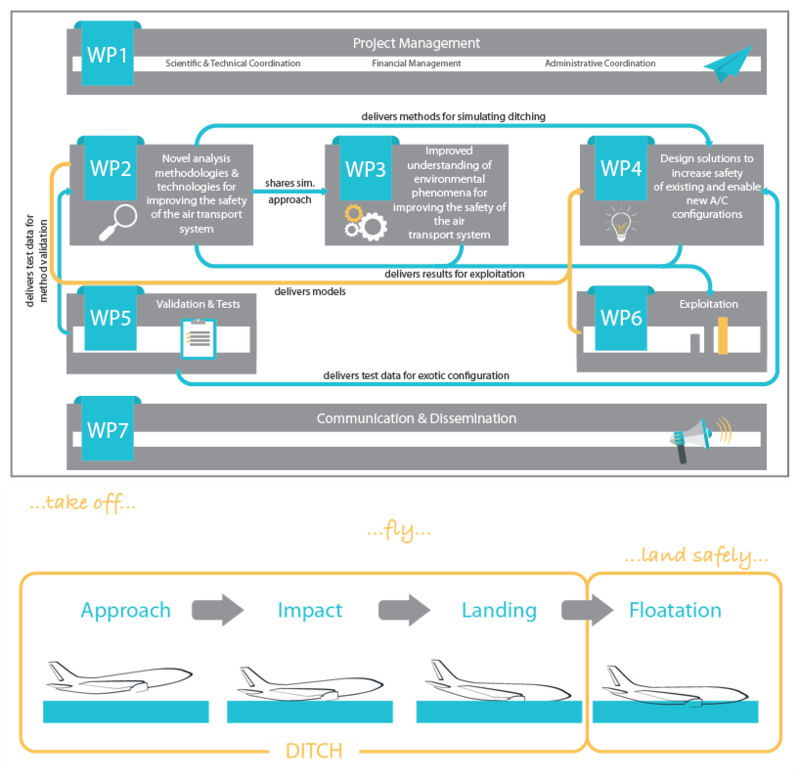 The Flightpath 2050 (FP2050) strategy document has provided Europe with a vision for aviation and air transportation, identifying goals for the research community and policy makers alike. In order to achieve these challenging long-term goals, it is imperative to ensure that the required infrastructure for research activities addressing these challenges is available both to the necessary extent and in the required timeframe. RINGO (“Research Infrastructures - Needs, Gaps and Overlaps”) is a Coordination and Support Action funded by the European Commission under H2020 aimed at delivering a cohesive and coordinated approach for the identification and assessment of the needs, gaps and overlaps for strategic aviation research infrastructures in Europe; and at analysing potential sustainable business models and funding schemes for the maintenance and improvement of existing and development of new research infrastructures. Comprised by an authoritative team of professionals, covering skills in all major aspects of aviation research infrastructures as well as having access to an extensive network of expertise from Academia, Research Establishments and Industry, RINGO has successfully kicked-off in March 2017 and will be running for a 3-years period. SUNJET-II has entered to its final phase. A second set of recommendations has been released to the European Commission and METI, concerning the areas of possible future Europe-Japan cooperation in the field of aeronautical research. The next final EU-Japan gathering is planned to take place during the Paris 2017 airshow (19-23 June) where a Japanese delegation will attend. For more information visit the SUNJET-II website at https://sunjet-project.eu. ICONIC (Improving the crashworthiness of composite transportation structures) is an EU Horizon 2020 Marie Skłodowska-Curie Actions Innovative Training Network, funded for four years from October 2016. ICONIC is an integrated, multidisciplinary and innovative €4M research and skills development programme, to develop a new generation of lightweight transportation structures with superior crashworthiness. ICONIC is coordinated by Prof. Brian G. Falzon from Queen’s University Belfast, and involves nine beneficiaries from the UK, Ireland, Germany, Greece, Italy and Sweden. Fifteen early stage researchers will take up posts at the nine beneficiaries for up to 36 months. You can follow ICONIC ITN on LinkedIn, Twitter and Facebook. A group of RBF4AERO partners started the joint initiatives to technically and economically exploit the developed numerical platform. 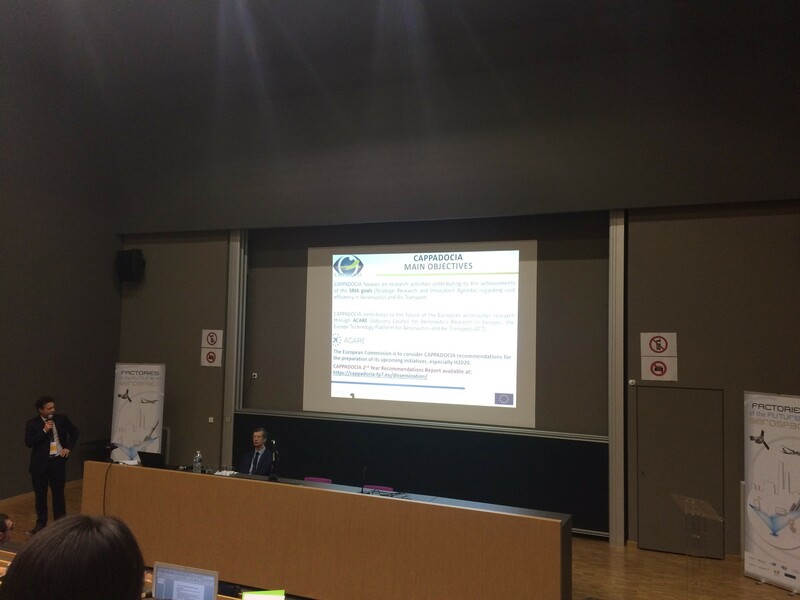 The first proposal dealing with a cloud-based tool for aeronautical FSI applications caught the interest of the FORTISSIMO 2 project (https://www.fortissimo-project.eu/). TraMOOC, by having achieved most of the objectives planned for its second year of activities, is moving ahead to its final 10 months of activities. The highlights of this period include the development of machine translation prototypes for 11 target languages, from English into German, Italian, Portuguese, Dutch, Bulgarian, Greek, Polish, Czech, Croatian, Russian and Chinese. The translation systems are based on phrase-based SMT and Neural Machine Translation. The latter has achieved state-of-the-art performance in recent evaluation campaigns. The translation systems have been adapted to MOOC texts to maximize translation quality on this domain. During this period, a comparative human evaluation of phrase-based SMT and NMT has been completed for four language pairs to compare educational domain output from both systems using a variety of metrics. These include automatic evaluation, human rankings of adequacy and fluency, error-type markup, and post-editing effort. The results show a preference for NMT in side-by-side ranking for all language pairs, texts, and segment lengths. In a nutshell, important technical work has been performed during this period and most of this period’s objectives have been achieved. More information about the project's progress and latest results is available on the project's progress timeline. You may also follow us on our social media groups and pages (Facebook, Twitter, LinkedIn, YouTube). if you wish to view the TraMOOC overview video please follow this link: TraMOOC overview video. 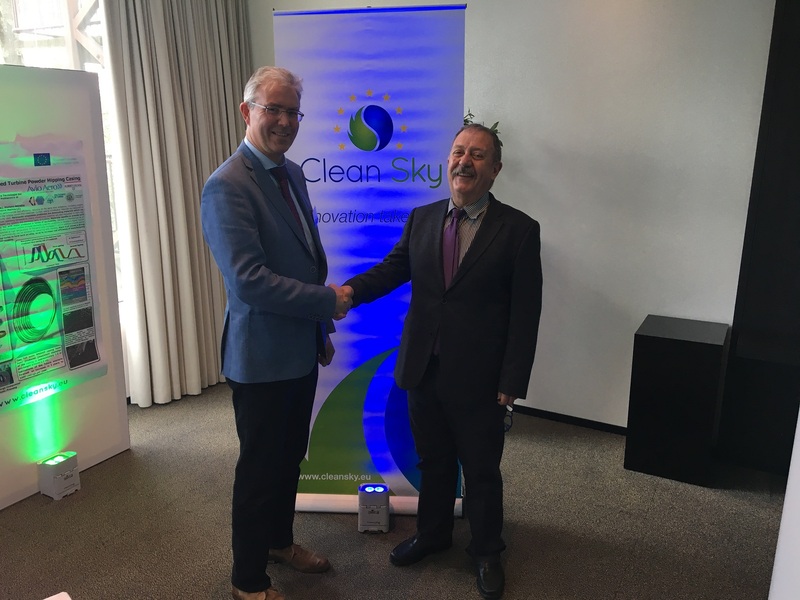 FURADO is part of the Clean Sky 2 program. The project is aimed on the numerical design optimization and flow analysis of a semi-watertight full fairing rotor head with respect to drag reduction of a compound helicopter configuration, namely the Low Impact, Fast and Efficient Rotorcraft (LifeRCraft) demonstrator. 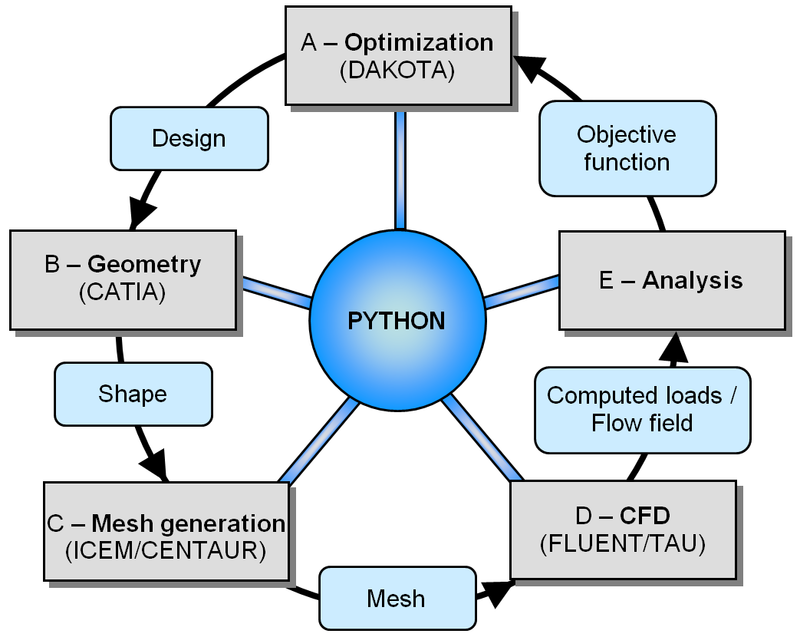 During the first phase of the project, a sophisticated optimization tool chain allowing for automatic shape development is generated. This tool chain is applied for the optimization of selected full fairing components. These include the blade sleeve fairings, the full-fairing beanie and the pylon fairing of the LifeRCraft rotor head. Selected optimized shape combinations are investigated in different flight conditions and simulation scenarios. To sign up for the EASN newsletter: Send an email with subject "subscribe" to newsletter@easn.net. To unsubscribe from the EASN newsletter: Send an email with subject "unsubscribe" to newsletter@easn.net. Disclaimer: EASN accepts no responsibility or liability whatsoever with regard to the information above. This information is subject to change without notice.